<img class='alignnone size-full wp-image-1172' src='https://paramountlodging.com/wp-content/uploads/2015/06/scottfunfactg.png' alt='scottfunfactg' width='190' height='170' /><br /> Scott was a 4 year letter-man and starting defensive tackle for University of Delaware. He’s an avid surfer and outdoor sportsman, he has ridden 20+ foot waves in Costa Rica, Indonesia, and Northern California. Scott Griemsmann is Senior Managing Director of the Western Region for Paramount Lodging Advisors. Mr. Griemsmann has over 15 years of experience with hotel investment sales and 23 years in real estate brokerage. During his career, Scott has served in a number of roles within the real estate industry. 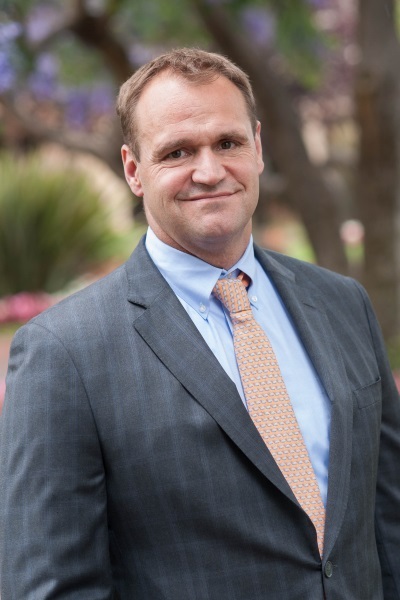 Scott is located in Paramount Lodging Advisors’ San Francisco office and is focused on facilitating hotel investment sales in the Western U.S. Prior to joining PLA, Scott held Vice President positions with Cassidy Turley BT Commercial and The Plasencia Group. Scott has been involved in approximately $500,000,000 in hotel transactions. He started his real estate career in the Baltimore, Maryland region as a residential/commercial investment sales associate and property manager for the U.S. Veterans Administration. Scott has a Bachelor of Science in Business Administration from the University of Delaware.